When I was younger I suffered from slight eczema on my legs, it irritated me so much with none stop scratching making my skin red sore and bleed. Eventually, over time it just disappeared. 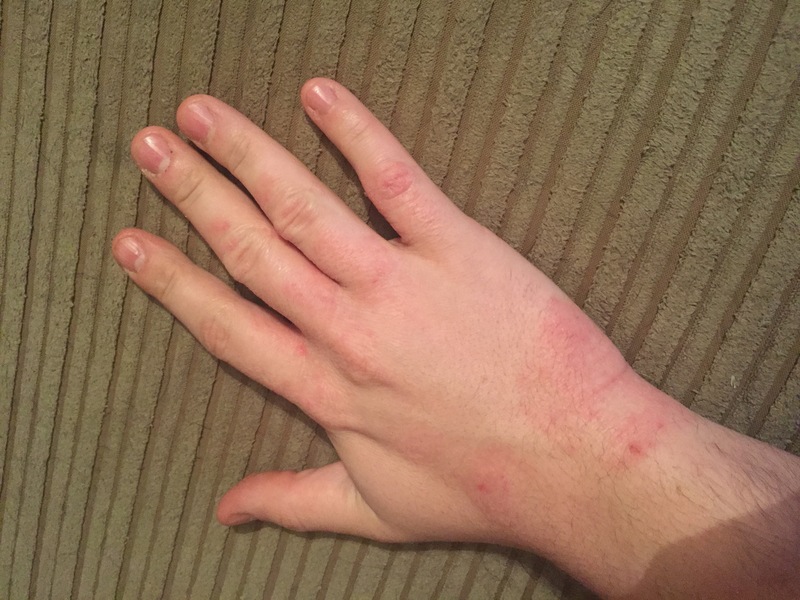 My OH suffers quite badly with eczema and has ever since he was young too, he has tried and tested all sorts of creams and lotions to try and help. When we were offered to try a new product called the dermasalve cream I jumped at the opportunity to see if it would help the OH with his skin. It really gets him down some days and gets stressed about it which makes it flare up more. His skin can flare up at anything, stress, general life, washing up, cleaning and much more. The photo doesn’t really do this picture much justice but this is a fairly good day for my OH. He gets so annoyed and frustrated with it, the constant scratching and irritation and the cracking of his skin which makes it really painful. 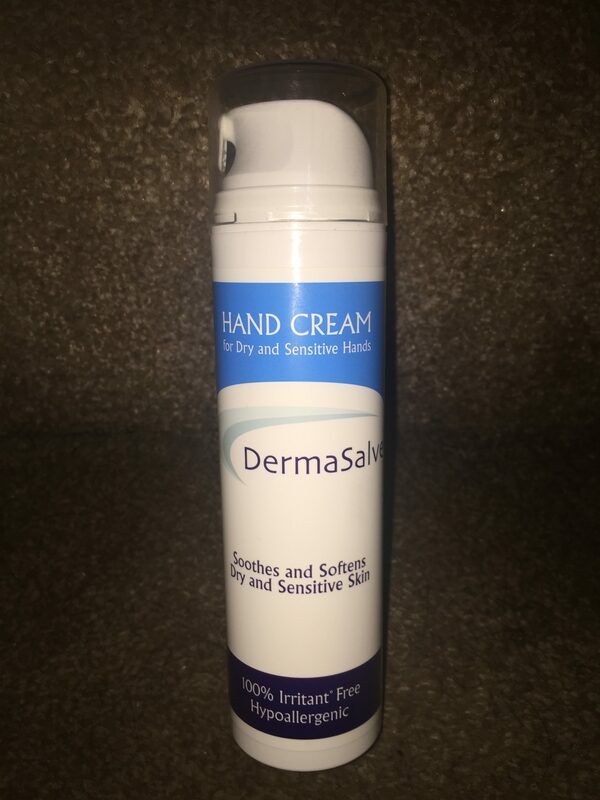 My OH has been using this cream pretty much every day and we will keep using it over a large period of time and see if it helps him with his eczema as only time will tell if it is working the longer we use it for. It does help keep his skin smooth and soft and prevent it from getting too dry and cracking which he is pleased about. * I was sent this product free of charge for the purpose of this review. However, all thoughts, opinions and pictures are my own.